Every week while I’m at the grocery store, I see people buying commercial veggie washes. At $8 for a 16 oz bottle, that’s CRAZY! Especially when studies show that they are nor more effective than distilled water! 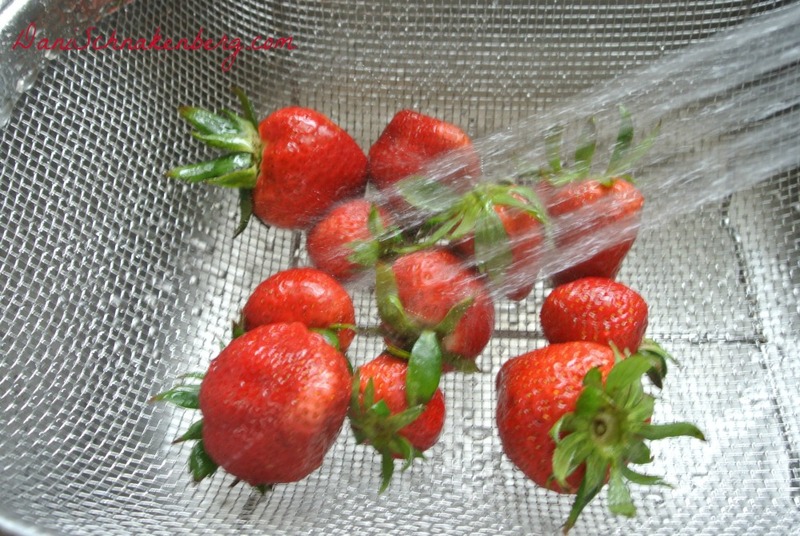 (Source) Okay, but then again, I don’t really want to distill water every time I wash produce, so what’s a girl to do? I used to use the standard vinegar mix, but regardless of how little I used or how well I rinsed, we could always taste it, especially on soft-skinned produce. And after a lot of research, I have concerns about the way vinegar affects our digestion and mineral absorption. One of the awesome ladies on the Dave Ramsey forum was the first to tell me about Basic H2 nearly three years ago. I’d never heard of it and it wasn’t available in stores, so I just kept on with what I was doing. Then last year I was formally introduced to Basic H2 and all the wonders it beholds. 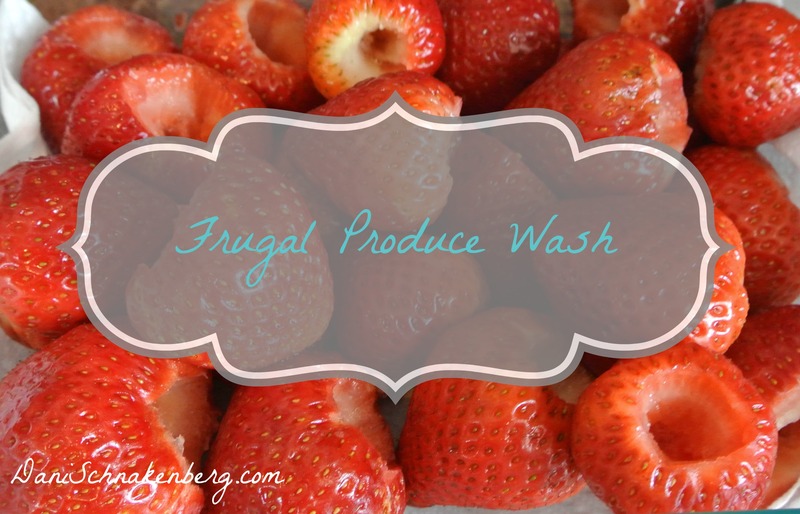 Among it’s literally 100’s of uses, it makes an awesome frugal produce wash. It’s main use is an all-purpose cleaning spray. With hard-skinned produce, I just spritz it on and rinse it off. 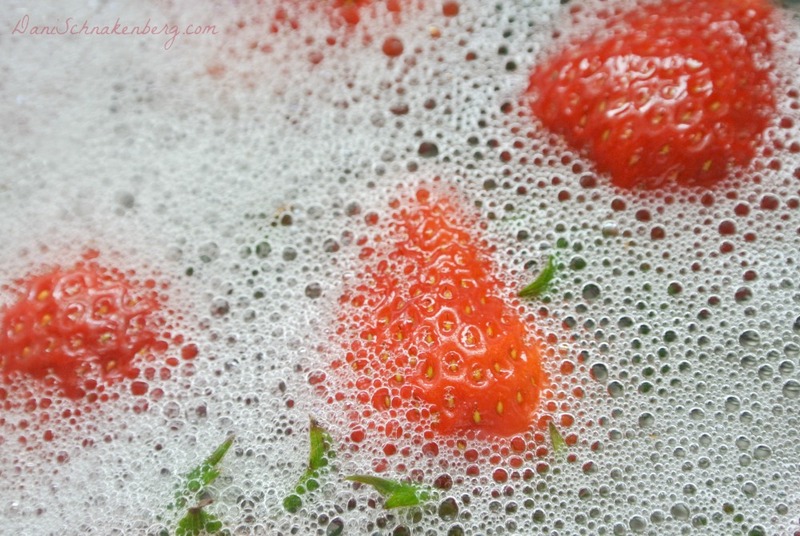 For soft-skinned produce, I fill the sink with water and a couple drops of Basic H2 and let the produce soak for 2-3 minutes. Then I drain and rinse everything before prepping it to go in the fridge. We do all of our produce prep for the week on Sunday afternoons and it’s easy to get an assembly line going of washing, rinsing and cutting. The only other thing I do is spray the sink down with Basic G before and between refilling the sink. No use risking cross-contamination, especially with high-bacteria produce like broccoli, cauliflower, and tomatoes. So how does it compare to the commercial washes price-wise? Well, the commercial washes come in at $0.45/oz. 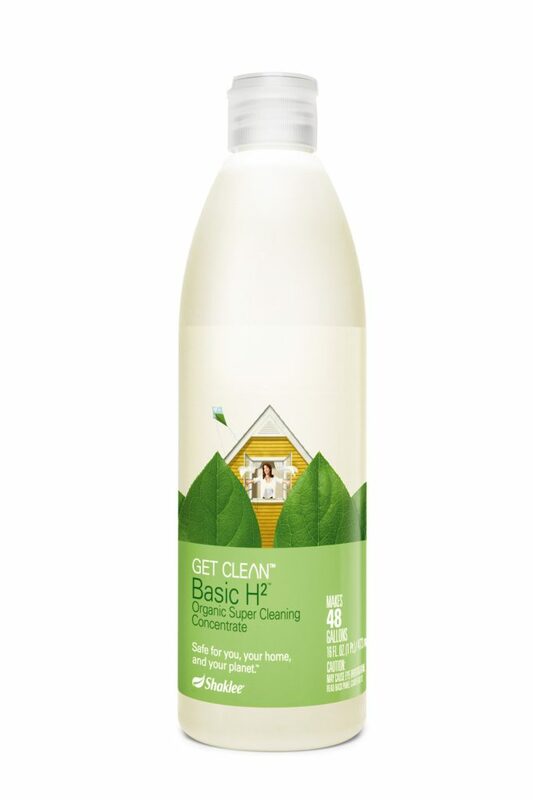 Basic H2 is a concentrated wash, so once diluted properly, you’re looking at $0.48/16 oz bottle. That’s about 1/15th of the cost! And did I mention this stuff has so many other uses? We’ll have to go over that another day: but the short list is that I clean with it, bathe my kids in it, and use it to keep fresh cut flowers alive longer. It’s amazing! And very inexpensive.